While today it is pouring down once more, yesterday was a glorious December Saturday. 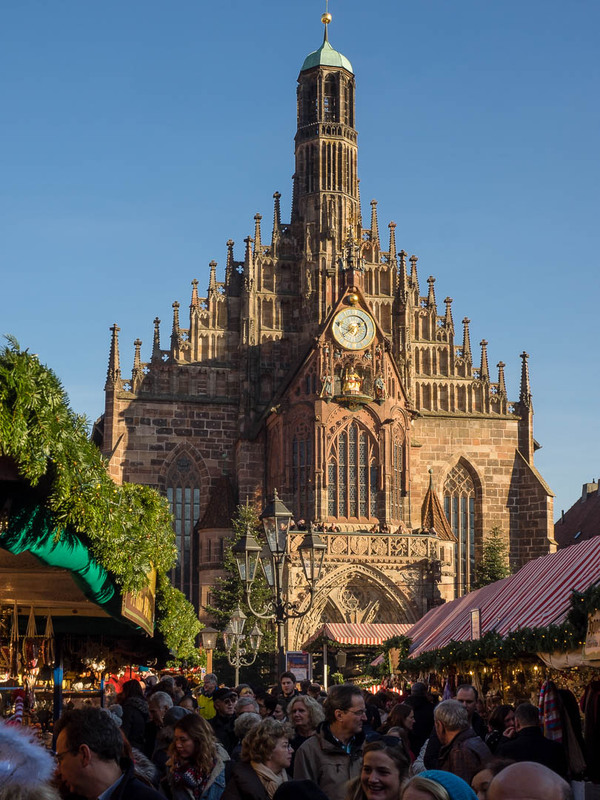 Although we are far from having any snow (and the temperatures felt more like spring) it was still a special atmosphere on Nuremberg’s famous Christmas Market, the “Christkindlesmarkt” as it is called locally. 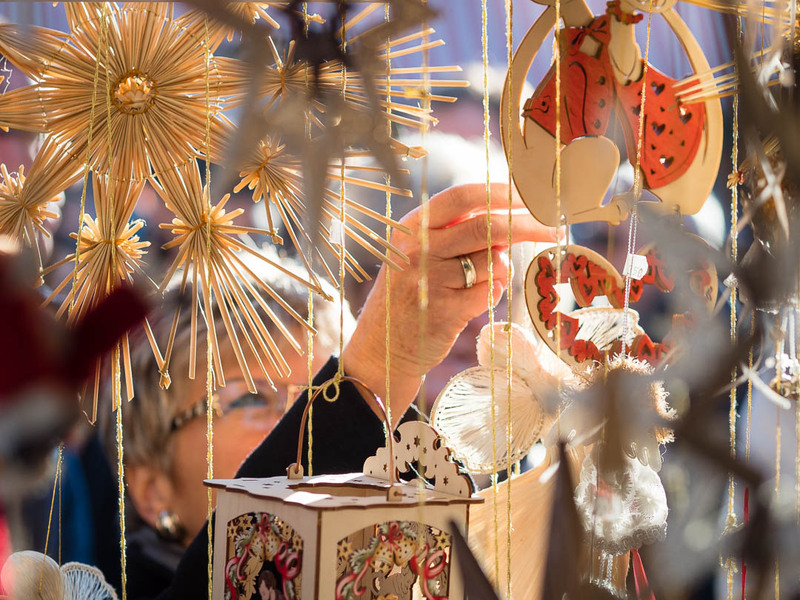 It takes place in the four weeks leading up to Christmas (Adventszeit) on the main Market Square in front of the famous Frauenkirche (built in the 14th century). For more impressions continue reading after the jump….. I strolled a bit between the wooden stalls before and after the visit of the concert of a trombone choir in St. Sebald Church (will do a separate post about this), so enjoying the unusual bright winter sun first and the evening atmosphere afterwards. Sure I bought myself a good “3 im Weckla” (3 in a bun), a roll with the famous Nuremberg Bratwurst. Standing in the sun eating I shot this image above with the other (I had the PEN-F with the mZuiko 75mm f/1.8 with me). 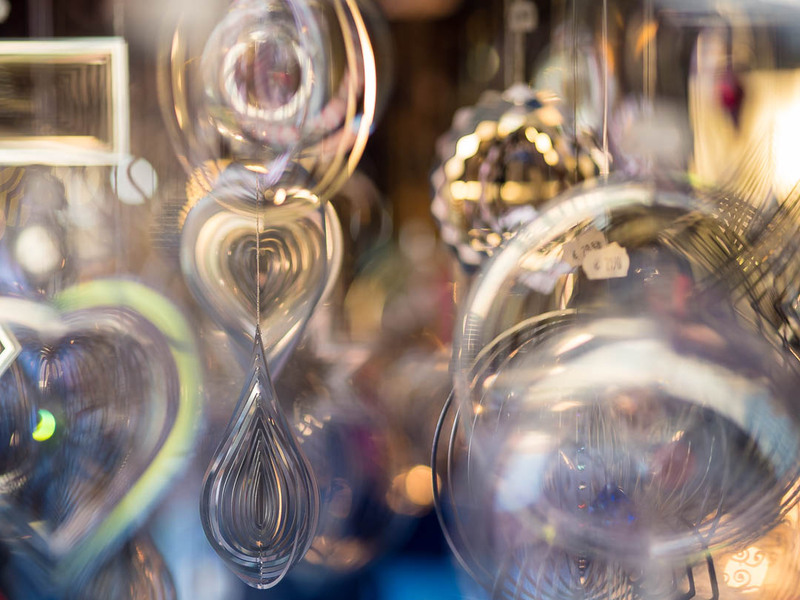 Plenty visitors used the opportunity to shop for Christmas decorations in the many stalls. When the blue hour came I switched to the 12mm f/2.0 lens to capture the atmosphere between the wooden stalls with the famous red and white striped rooftops. 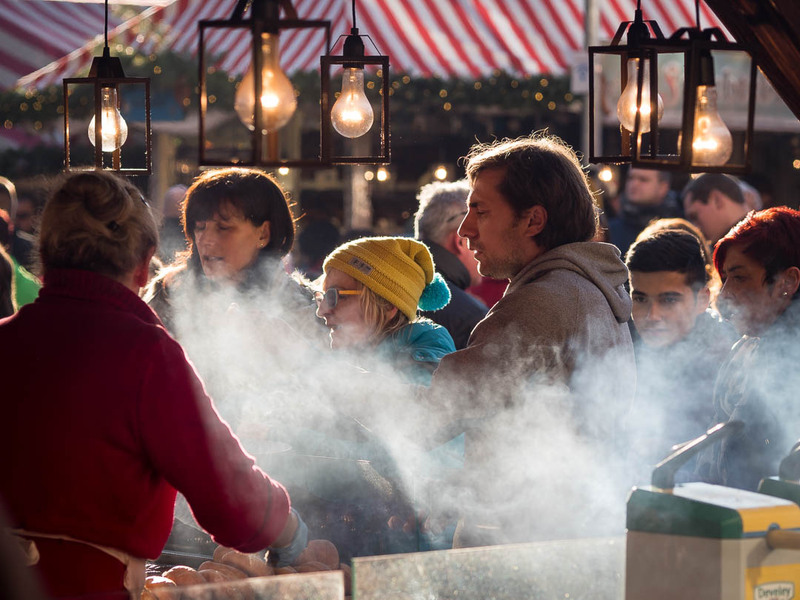 The dropping temperatures were countered with some more Bratwurst and a mug of steaming mulled wine (Glühwein). Lovely! Sorry, you missed it this year! This market looks so magical. Beautiful pictures, as always! The details in those old churches are amazing! Oh, these are so great! I almost missed this post! Too many in my reader. 😉 I think I’m getting to think like (or just learn from) you. I saw a man the other day on a ladder, putting up decorations on a building exterior and I so wanted to get a picture…but of course I was in the car. I’m always in cars! ha. Then my mind wandered and thought.. if I stopped…what would I say? How can you get a candid shot if you ask?? Anyway, thanks for sharing these I just love them. Thanks for sharing your thoughts. Hey, 1) have your camera with you in the car and 2) next time stop and ask him for a portrait! He probably looks puzzeled first, but then he’ll smile and agree! Go for it! Chicago had a great Christkindlmarkt every year too. I haven’t been in a few years and your photos have whet my appetite. Of course, in Chicago the markt is in the shadow of skyscrapers, and not that great church in your first photo. I’ll bet that church provides nearly endless photo subjects! 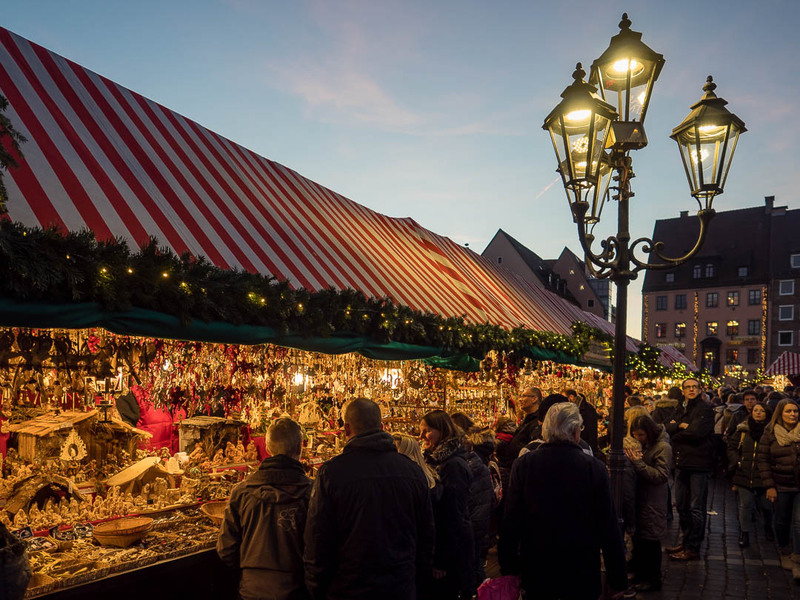 Hi Jim, actually the Chicago Christmas Market is derived from the one in Nuremberg. 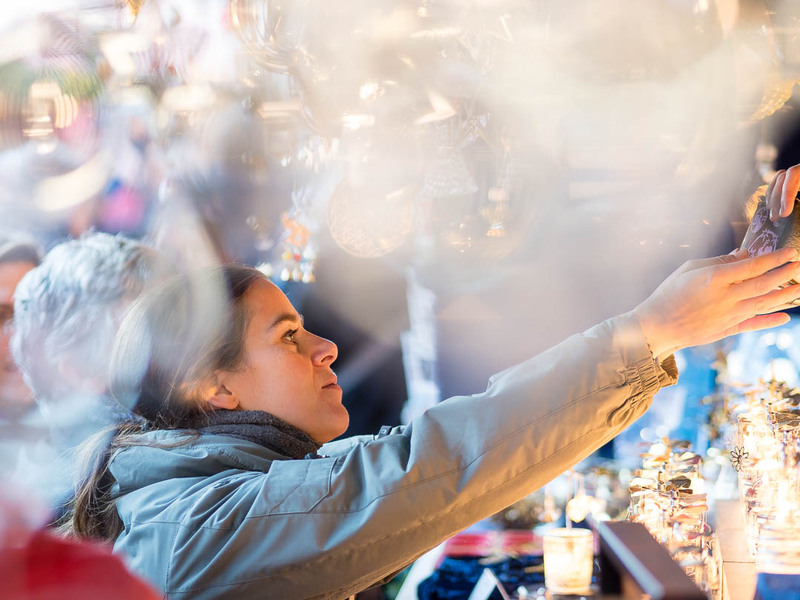 We have the “Christkind”, the Christ Child that presides over the market and opens it from the balcony of the church. It is impersonated by a teenage girls that fills that role for two years. 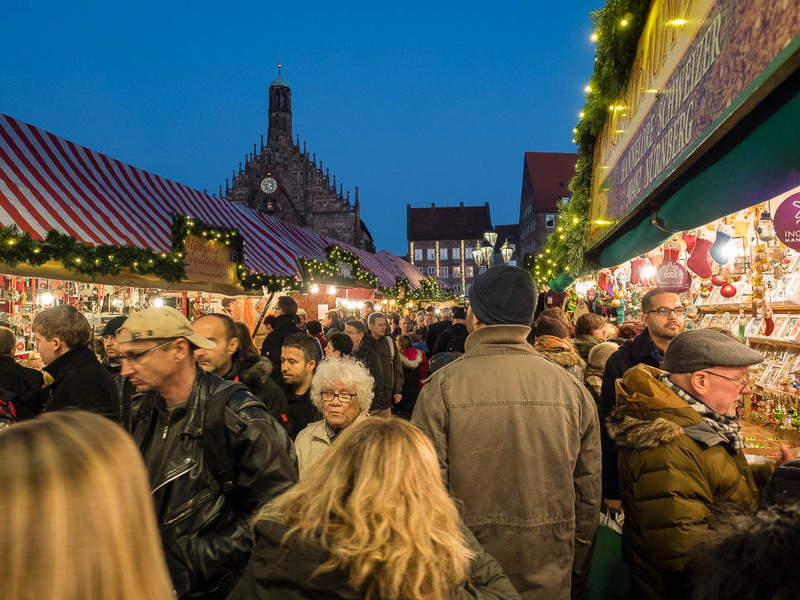 And the Chicago Christmas Market is actually opened each year by the preceding Christkind of Nuremberg. And you are fully right, the Frauenkirche and the other two major churches of the Old Town, St. Lorenz and St. Sebald, provide endless photo opportunities, each being 800 ys old. Thanks for visit and comment! That is so cool – I had no idea! Done Koblenz, Aachen, Rudesheim and Cologne. 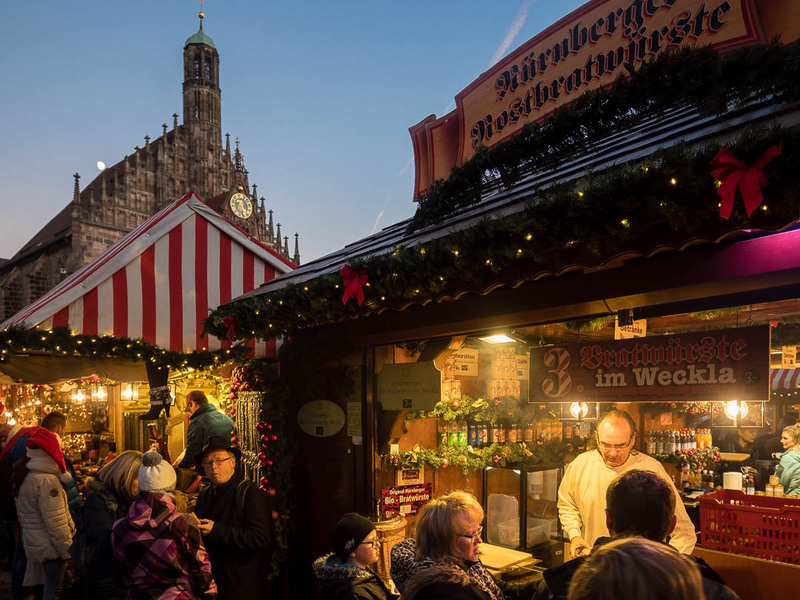 These images make me want to see Nuremburg Christmas Market. Thanks for giving us a glimpse.